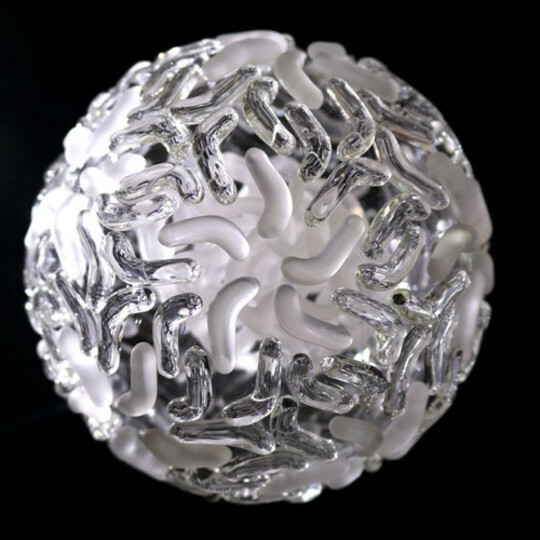 Luke Jerram has created an additional piece to his series Glass Microbiology, the Zika Virus. Made to contemplate the global impact of the disease, the artwork was created as an alternative representation to the artificially coloured imagery of the virus received through the media. "The production, exhibition and photographing of glass models derived from the microbiological structure of viruses, but blown up to some million times their true size, involves no music, doesn’t require public space, and has no obvious interactive viewer experience or performative aspect. Rather, the initial experience is of looking at delicately beautiful and apparently abstract sculptures." 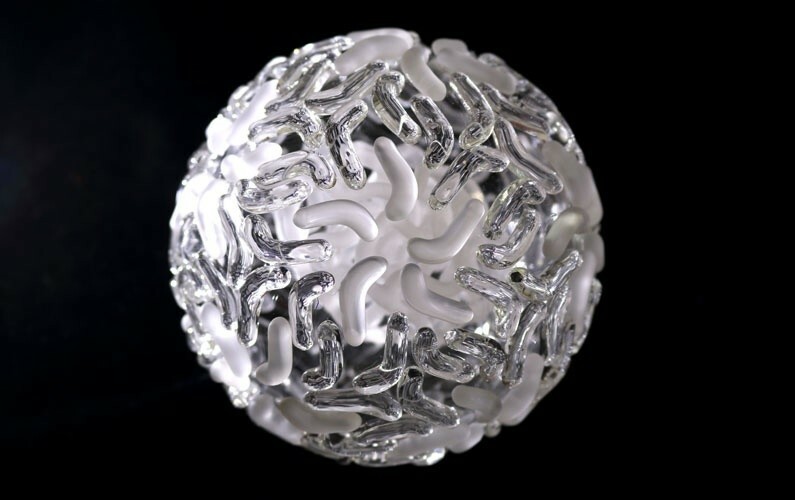 Zika virus in glass from lukejerram on Vimeo.